We remove any type of broken bolt and repair stripped or damaged threads, broken bolt, studs, sparkplugs, glowplugs, injectors, cutting of injector seats, fitment of helicoils, bushes, sumplugs, diff & filler plugs, etc. Based in Cape Town, our service cover all over Western Cape area. Rather than choosing a runaway company who never turn up again, put your trust in our highly regarded business. Our specialist work tirelessly to provide you with top-quality, you can rest assured that we’re more than capable of completing even the toughest of challenges. With more than 15 years’ experience in the industry, with its ups and downs the business, our workforce has combined to spoil you with decades of knowledge on re-threading, bolt removal & dye cutting. We pride ourselves in being the market leader in the Thread Repairs Industry. Our service provide a fully mobile service. As it’s difficult for most people to move their vehicle to a different location if they have a breakdown and need to fix the threads. 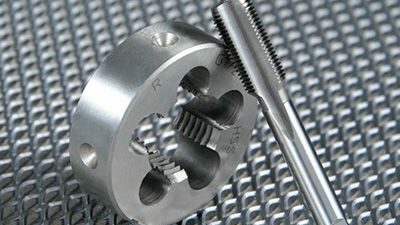 Using the finest tools available, we are able to fully repair threaded components at your locations. We are giving excellent service, speed delivery, reliable and the most professional service ever had, we strive for customer satisfaction. We work for private individuals and the trade, including main dealers automotive, commercial, marine or aviation. Our service is 24/7/365, a promise that whenever you need us, we will deliver. Even if you stuck on a lonely and dark road in need roadside assistance. We are just a phone away ! Or leave us a message on whats-app and we will get back to you soon! A promise that whenever you need us, we will deliver! even if you stuck on a lonely and dark road in need roadside assistance! Broken Bolts, Studs, Glowplugs, Sparkplugs, Lock & Wheel Nuts, Injectors, Sumplugs, Gearbox & Diff Plugs, Broken Easy Outs, Taps, Drill Bits.